70% VG – 4 x 10ml bottles = 40ml. Summer fruits. 70% VG – 4 x 10ml bottles = 40ml. A tasty Pineapple and Mango blend brought to life with high voltage! 70% VG – 4 x 10ml bottles = 40ml. Menthol Xtra. 70% VG – 4 x 10ml bottles = 40ml. Scrumptious blueberries. 70% VG – 4 x 10ml bottles = 40ml. Mixed fruit flavours. 70% VG – 4 x 10ml bottles = 40ml. Blueberry Muffin. 70% VG – 4 x 10ml bottles = 40ml. 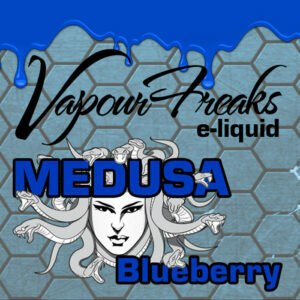 Black grape and red berries, glazed with a frosty menthol. 70% VG – 4 x 10ml bottles = 40ml. Fruit undertone finishing with a cooling crystal blue after-effect.